Disclaimer: Compensation and products for review were provided by Glidden via MomTrends. The opinions expressed herein are mine and are not indicative of the opinions of Glidden. I don’t know about your house, but around here Disney is a huge hit. If you’ve followed along for a while, you’ve seen a number of posts where I’m sharing the influence of a Disney character or movie. We’ve had the opportunity to visit both Disneyland and Disney World with the kids, and it truly is the most magical place on earth! As an organization they are just so creative and inspiring to me. 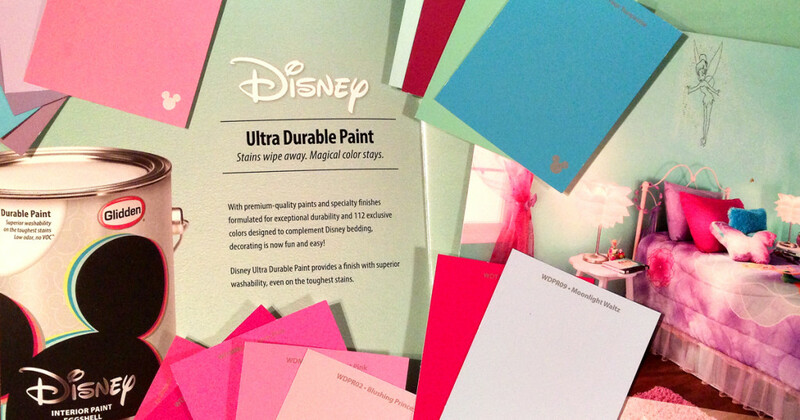 So, when I was introduced to a new paint line created by Disney I could not have been more excited! When I was asked to review the paint, I totally flipped out! What an honor! 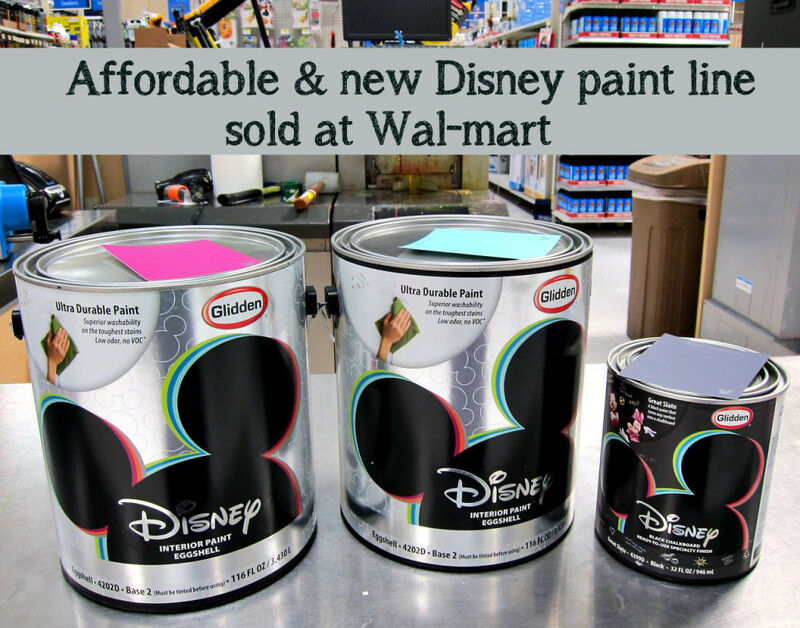 Here’s the scoop: Disney has partnered with Glidden to create Disney Paint, a new line of paints exclusively available at Wal-mart. They have 112 colors and five innovative specialty finishes that are easy to use and apply. 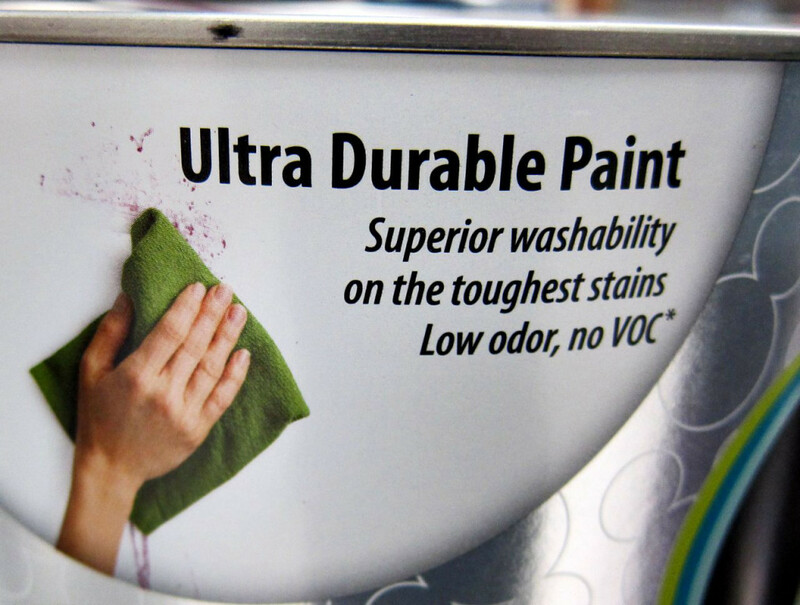 It’s a premium quality and ultra-durable paint that was created with kids in mind. It’s made to withstand wear and tear, as well as repeated scrubs and washes. As most of you know, we have sold our house and will be moving into our new home soon! While our new house is beautiful, the paint is very basic. That doesn’t work for me. Color, lots of color, is sort of a big deal to me. To ensure I don’t go too crazy, I’m limiting myself to one room at a time. My daughter Reagan gets the privilege of having her room be the first to be redesigned. 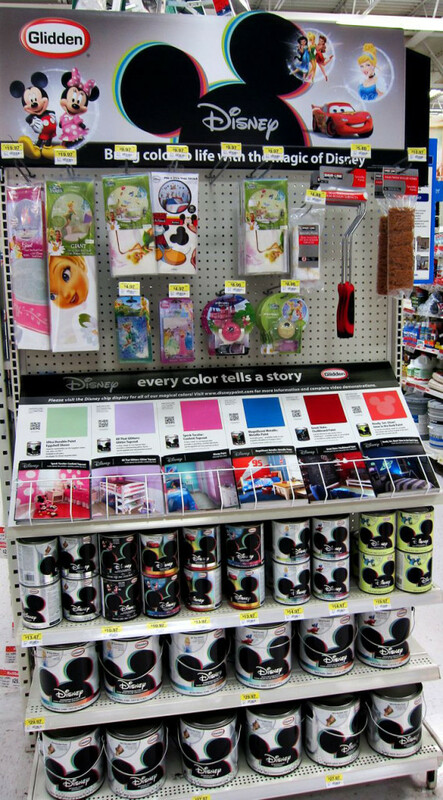 So, I headed to Wal-mart to see what Disney Paint had to offer. The first thing that hit me was the depth and variety of choices. There were so many beautiful colors to choose from. 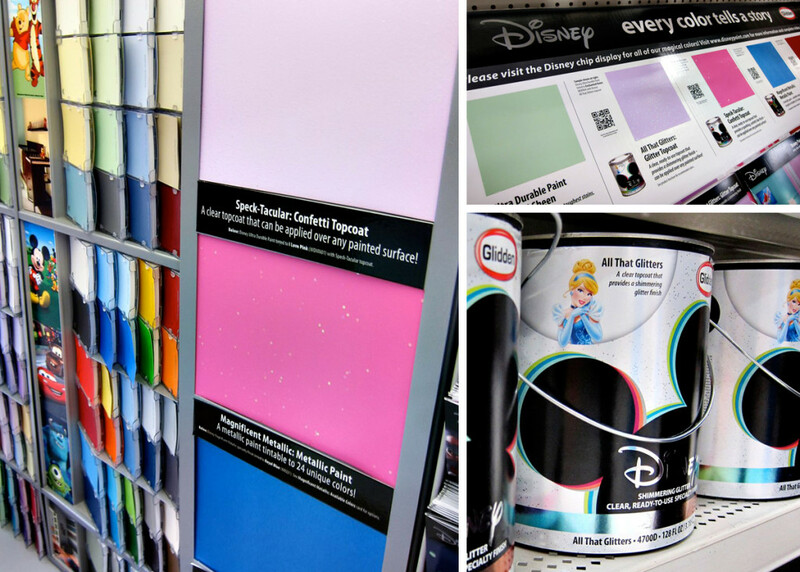 Disney Paint has a distinct collection of colors grouped into palettes designed to give you a lot of options. Because Reagan is only two-years-old, I did the majority of the color choosing. However, if you had an older child I think the display they have created would be very easy and fun to get your child involved in the selections. 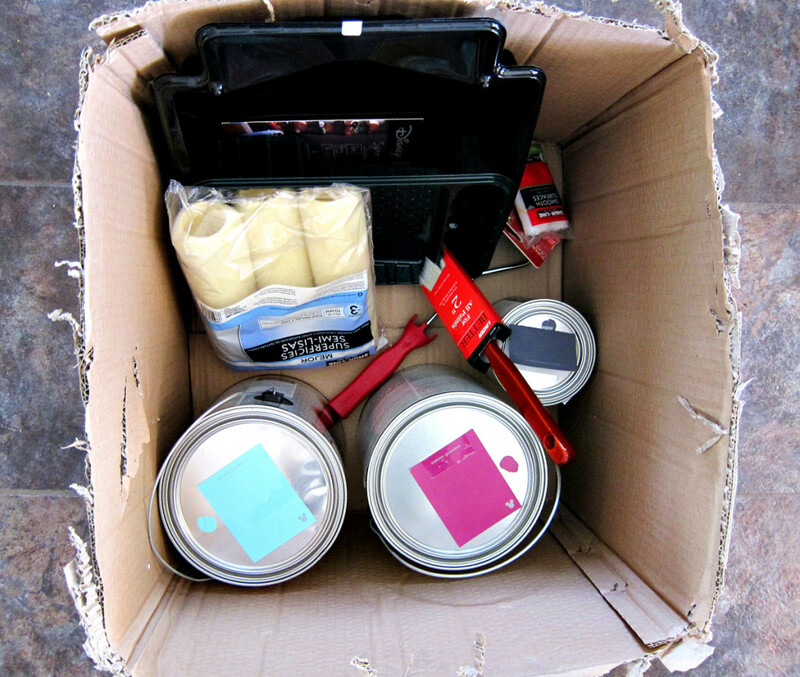 Now, if you’ve shopped for other paint colors, you probably remember seeing the paint chips being arranged by colors. All the blues are together, all the reds are together, all the greens are together, etc. 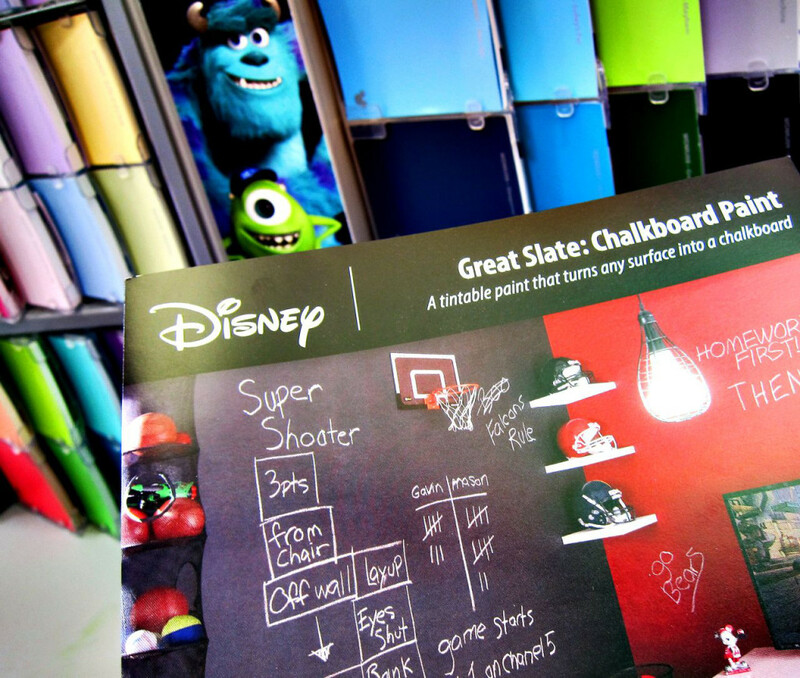 With the Disney Paint display, the colors are arranged by complementary collections. 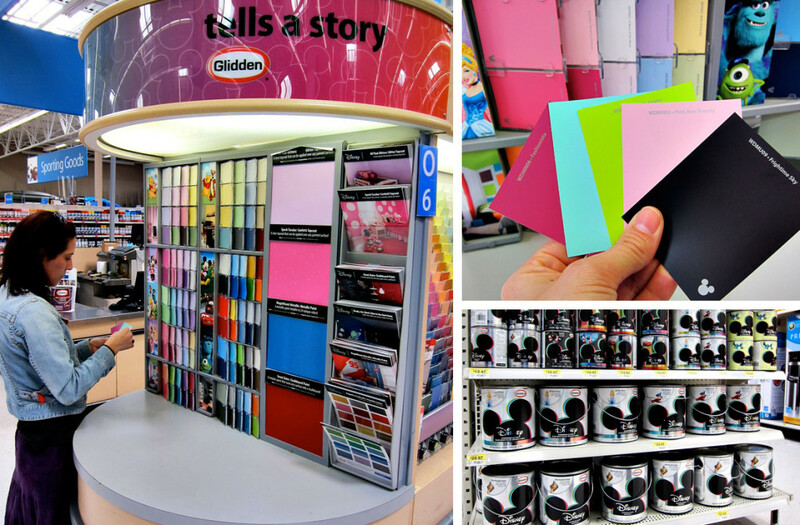 So if you find picking colors and matching accents difficult, this display makes it a very simple process. 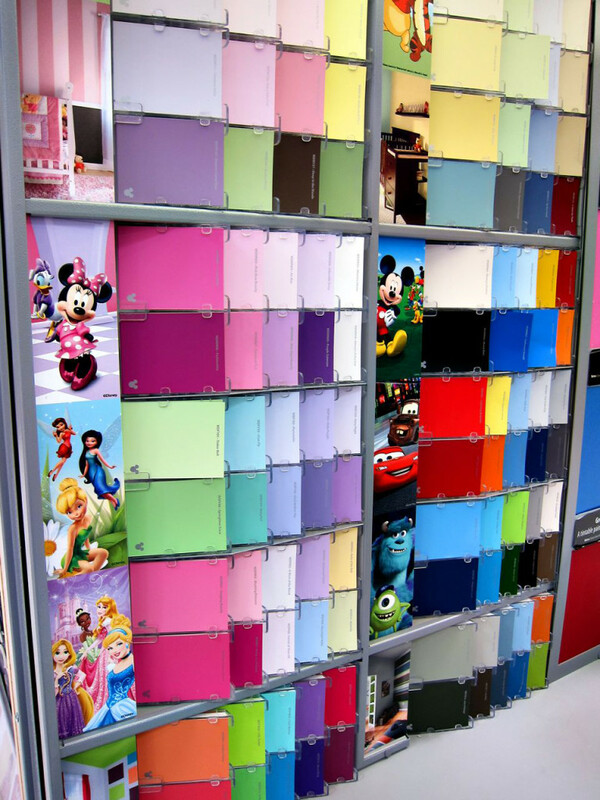 The other thing that really stood out to me was that Disney Paint goes beyond just a selection of colors. They have five specialty finishes to add some extra magic to your paint project. I picked two fun colors out for the majority of Reagan’s walls, but I still wanted to try a fun, specialty finish. While the glitter finishes were very tempting, I decided to go with a chalkboard option for one of Reagan’s walls. A black chalkboard wall? What’s so special about that, you ask? I’ll tell you, it doesn’t have to be black! The chalkboard paint can be tinted in 20 different colors. How cool is that!? Aside from the specialty finishes, Wal-mart also carries Disney bedding and Disney room accessories that go right along with the color palettes. I’m so excited to create Reagan a new room that she will love. It will be complete with a toddler bed and everything. No more crib. We’ve started packing for our move, and the first box I packed is my new Disney Paint! I can’t wait until we can call our new house “home” and I can start to add some magic and inspiration to Reagan’s new room. I will of course keep you posted on the progress and let you know what I think of the paint once I get to work! Disclaimer: Compensation and products for review were provided by Glidden via MomTrends. The opinions expressed herein are those of the author and are not indicative of the opinions of Glidden. I can’t wait to see what you do with it!! If its anything like her last room, its going to be amazing! Will you do another mural? Love your paint colors! Would have chosen very similar ones myself, but I let my girls pick! Can’t wait to see it. I need to go back a few post, I didn’t know you guys sold the house and bought another one already…so exciting, and I’m so glad more little people will be enjoying your home and family soon! congrats! 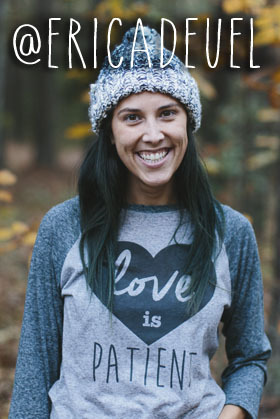 Thank you so much Nicole, and thank you for reading my post! I haven’t painted in forever – love the display by type of character. How fun!